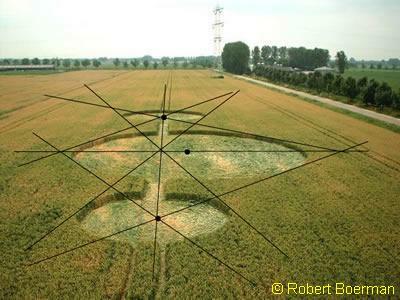 On this photo one can see the several ley lines which we have measured and that the lines are connecting the circles. 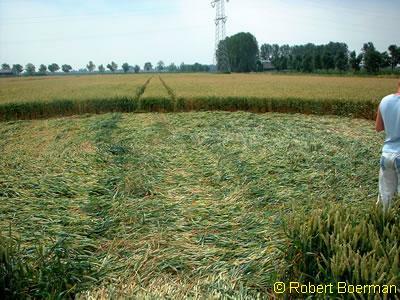 The center of the large circle is not in the tramline like the other two smaller circles. The reason is that the lage circle is shifted into position in order to fit with the ley line pattern we measured. 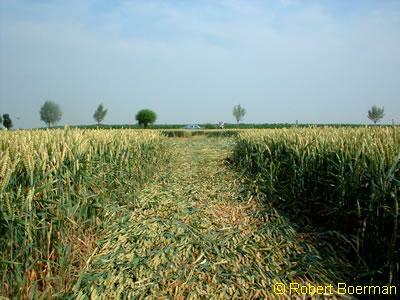 The crop circle was found close to a power line (approx. 200 metres).